You can cruise the rivers and waterways all over Europe, especially in France, Switzerland, Holland, Belgium, Germany, Italy, Hungary, Romania, Bulgaria and Russia. Most regions have navigable rivers and canals, with several different types of boats. The longest cruise it is possible to do now stretches all the way from the English Channel to the Black Sea! European river cruise companies offer a broad range of interesting itineraries, including popular trips like Danube river cruises, Seine river cruises, Saône and Rhône river cruises, Rhine river cruises, Moselle river cruises, Volga river cruises and many more. Travel along the famous rivers of Europe and discover fascinating history and authentic experiences with comprehensive sightseeing plus your own exploration. Many of these rivers also flow through famous wine and food regions which offer the opportunity to sample the local produce. Discover the Rhine, Main and Danube, by cruising across Europe from Amsterdam to Vienna and Budapest, or all the way to the Black Sea. Take a trip on the Elbe, the gateway to Eastern Europe. Travel on the great rivers of France, from Paris to Normandy, or to Burgundy and Provence in the south. Experience colorful tulips (at the right time of year) on Dutch and Belgian waterways. Cruise the Douro in Portugal and Spain. Visit the birthplace of the Renaissance in northern Italy on a Po River Cruise. Explore the natural highways of Russia and Ukraine with a trip down the imperial rivers and lakes. Rhine River cruises are probably the most popular of all European river cruises. Some riverboats just sail on the Rhine River (known as the Rhein in Germany), but you’ll probably be more interested in the ones that combine the Rhine with other waterways in Germany, Austria, Hungary or the Netherlands. Cruises on the Moselle River (known as the Mosel River in Germany) are usually combined with Rhine River cruises and are a marvellous way to experience some of Europe’s oldest and most romantic towns and cities. With its scenic beauty and magnificent castles, the Middle Rhine is a World Heritage Site. A Rhine-Moselle River Cruise will take you past German castles, along the border of France and into Switzerland. The Elbe is considered the gateway to Eastern Europe. An Elbe River Cruise offers views of hilltop castles and medieval towns, contrasted with cosmopolitan cities such as Berlin and Prague. The Danube (Donau in German) River is Europe’s second longest river, originating in Germany’s Black Forest region and flowing through eight countries before reaching the Black Sea. Often combined with a Rhine-Main cruise, a trip down this famous river, immortalised by Strauss in his Blue Danube waltz, shouldn’t be missed (even though it’s not blue!). Springtime is the time to go, when the Netherlands and Belgium are aflame with flowers in full bloom. Cruising through the scenic Dutch & Belgium waterways is probably the best and certainly the most peaceful way to discover this region, and is worthwhile at all times of the year. The Oder (Odra in Czech and Polish) River rises in the Czech Republic and flows northwards through Poland, along the Polish and German border, into the Szczecin Lagoon and then out into the Baltic Sea. 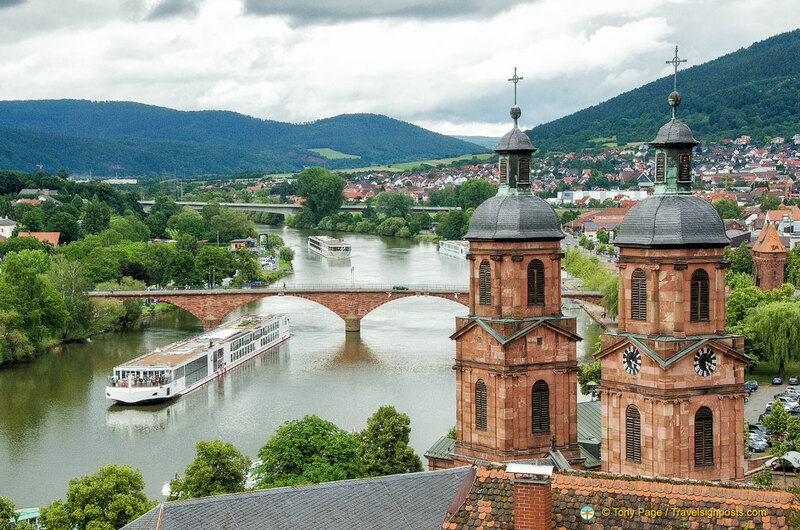 Oder river cruises, although not as well known as the Danube or Rhine, are a great way to discover the fascinating attractions of interesting and little-known towns in Germany and Poland. You’ll also be able to experience everything from nature preserves and beautiful riverside landscapes to lively centres of folkloric and modern Eastern European culture. Oder river cruises are offered by a number of UK tour aggregators. River Cruises in France – Rhône, Saône, Seine. A romantic cruise through Burgundy and Provence along the Saône and Rhône rivers lets you experience French history, culture and scenery in two regions famous for works of art, fine wines and their cuisine. Further north, take a cruise through the heart of Normandy, whose historic towns, beaches and pastoral landscapes lie along or close by the Seine‘s scenic river valley. Experience the picturesque, vineyard-covered countryside in France’s famed Burgundy wine region, and the legendary landscapes and cities of Provence, inspiration to so many artists. From Paris to Joan of Arc’s Rouen, the D-Day beaches to Monet’s Giverny, a Seine River cruise has to be the most luxurious way to experience the history, culture and beauty of northern France’s Normandy region, the birthplace of Impressionism. The Po River is Italy’s longest river, but unfortunately it is prone to low water levels. These days cruises to the north of Italy don’t emphasize the Po River, as only a very small section of the Po is navigable, if at all. With the riverboat as your floating hotel, holidays to the north of Italy lets you explore Venice, Padua, Ravenna and Verona where the romance of Romeo and Juliette still bring in the crowds. Experience a unique cruise through vineyards and valleys on Europe’s most western river connected to the Atlantic Ocean. Douro River cruises have become popular and more cruise operators have started cruises here. Explore Russia along its natural highways with a cruise through the imperial rivers and lakes. Whether it’s Moscow’s golden onion domes and red-walled Kremlin or the legendary palaces and canals of St. Petersburg, or the romantic vastness of the Ukraine and Crimea, one of these cruises has to be the most relaxing way to experience this still relatively unknown area of the world. The unique cultural heritage and stunning architecture of Russia’s most interesting cities are waiting for you when you take a Volga River cruise. By travelling along the Volga River, the Moscow Canal and other waterways, you can visit Russia’s two most important cities, Moscow and St. Petersburg. Kiev, Odessa, Yalta – experience the best of the Ukraine via the Dnieper River, the third largest river in Europe, flowing 1,370 miles from the heart of the Ukraine to the Black Sea. OUR ADVICE: Concentrate on the river and route you want to travel on and the ship, rather than the tour aggregator (of course, there’s also price!). Be sure to check out our “Things to watch for” page too!